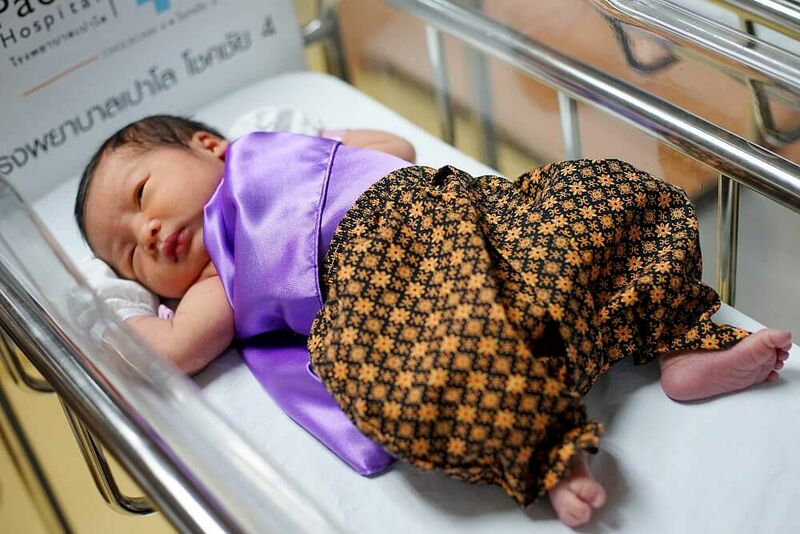 BANGKOK (THE NATION/ASIA NEWS NETWORK) - Medical staff members at a private hospital in Bangkok on Tuesday (April 10) went the extra mile to wear period attire and dress up newborn babies in fetching Thai traditional outfits ahead of the Songkran Festival, which begins on Friday. 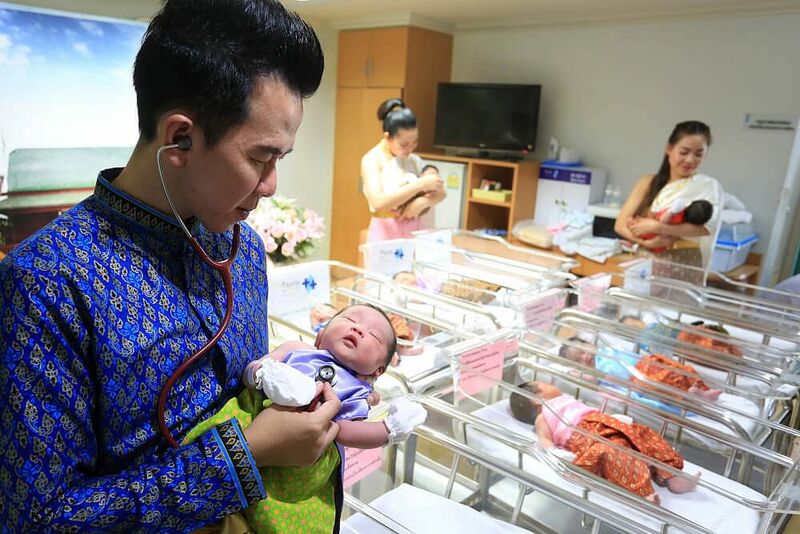 Employees at the Paolo Memorial Hospital Chokchai 4 are known to have dressed babies in costumes to celebrate various previous holidays, and to have handed out framed photos as souvenirs to congratulate families welcoming their newborns into the world. The Songkran Festival is well-known for citizens dressing in traditional Thai clothing to celebrate the Thai traditional New Year with family and friends. But this trend has been boosted even further this year by the popular televised romantic comedy "Buppaesannivas" or Love Destiny, which is set in the Ayutthaya era. The drama has taken Thailand by storm with many Thais visiting the ancient capital of Ayutthaya, and posing for selfies dressed in traditional garb against the backdrop of the ruins.